The OSU ID card is the property of Oklahoma State University. It is non-transferable. It must be carried at all times and presented to University officials upon request. Unauthorized use warrants confiscation and/or disciplinary action. Your card should not be surrendered to anyone except ID Services staff or the OSU Police. New students enrolled in credit classes are issued their first OSU ID card free of charge. New employees, as a condition of their employment, are issued their first OSU ID card free of charge. If this card, or subsequent cards, are lost, stolen or mutilated you will be charged for the replacement cost of a new card. It is the responsibility of the cardholder to report a lost or stolen card immediately! If your card is lost or stolen you will need to have another made with a new issue date and card number. This new card number deactivates the older card. Do not try to use an ID that has been reported lost or stolen! Your OSU ID card does not expire until you are no longer associated with OSU. If you leave the University, keep your OSU ID card card since it will be valid for campus privileges if you return to the University as an employee or enrolled student. Individuals who return to OSU and do not have their current card will be charged a replacement fee if their break in service has been less than one year. You are eligible for an OSU ID card when you enroll as a student at Oklahoma State University or you are employed by OSU. This ID card is your official identification card. It will remain valid as long as you are an enrolled student or employed at the University. The OSU ID card is also issued to people who are affiliated with Oklahoma State University, based on specific criteria as noted under the Affiliate Cards section below. Students must be enrolled in credit classes in order to receive an OSU ID Card. New employees are required to have their information processed by Human Resources and entered into the OSU system in order to receive an OSU ID card. A photo ID must be presented to the ID Services staff before an ID card is issued. No profiles, hats, headbands, sunglasses, or any other accessories will be allowed when your photograph is taken for the card. The name printed on the OSU ID card is the individual's official name as recorded in Oklahoma State University databases. Status information (student, faculty, staff, affiliate) is not printed on the card. If a card is lost or stolen, it will be deactivated. If it is found later, it cannot be reactivated. Only one card for each person is valid. Your digital photograph will be printed on the face of your OSU ID card. 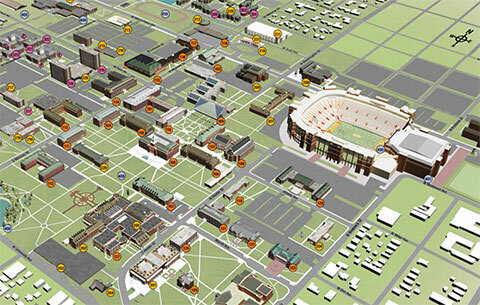 Your photo is stored in the OSU ID card database. A randomly assigned 16-digit ISO number is encoded on the magnetic stripe and printed on the card as a unique identifier, which facilitates ID card services. Individuals are required to keep their OSU ID card with them at times. You may be required to show your ID before being allowed to take tests, check out equipment, or other purposes. The current cost of a replacement OSU ID card is $20.00. Students and active OSU employees receive their first OSU ID card at no cost. Cards damaged through normal use will continue to be replaced at no charge, if the damaged card is returned to ID Services. ID Services receives central administration funding to defray a portion of the cost of the first ID issued to employees and on-campus degree seeking students. ID production costs for all others must be charged at a rate determined by current Cost Accounting Standards. Individuals who do not hold an active faculty or staff position or students who are not enrolled in credit classes will be charged $20.00 for each OSU ID card they receive. Charges are billed through the University Bursar System (to the individual) or through the Campus Vendor System (to the sponsoring department). The OSU ID card stays active for one year after individuals leave the university. Those who return to the university within a year and who need a replacement card will be charged a replacement fee. The cost of an ID card for affiliates to the University is $20. The affiliate can pay through their Bursar account. Some sponsoring departments will pay the fee. The Affiliate status applies to persons who are not current students, current employees, or retired employees. An individual may get an affiliate status if they are sponsored through a department or a program. To receive an Affiliate ID card, individuals must provide an Affiliate Request form signed by the sponsoring dean or department head. International visitors must register through International Students and Scholars to receive an ID card. Affiliate cards are active for one year from the date they are issued. They can be reactivated at any time for up to a year with a written request from the sponsoring department. Report a lost or stolen card immediately. Your ID card can be used to charge for various goods and services around campus, as well as for access to buildings and other services. Do not lend your OSU Card to others. Protect your OSU Card from damage by keeping it in the protective sleeve provided to you when the card is issued. Do not punch holes, affix stickers, or, in any other way, make modifications to your OSU Card. Such practices may create problems when trying to use your card for official University business or card swipe functions. University departments may not retain a OSU Card in exchange for reference material and/or products checked out to an individual. If an OSU Card is found, it can be returned to ID Services, 421 Classroom Building. The Oklahoma State University ID Services office is not liable for financial loss or criminal repercussions associated with lost, stolen, damaged, or fraudulently used OSU ID Cards. Personal information is kept secure and confidential at ID Services. Outside parties do not have access to anyone's personal or account information unless express consent is granted or the University is required to comply with legal or government agencies. The OSU ID Services Office is responsible for creating ID cards and high-assurance electronic identities for students, faculty, and staff and providing a variety of services through the use of on-line scanning equipment. Services currently include building security, event attendance, meal plan, laundry, time and attendance and point-of-sale transactions. The OSU ID card program was developed to assist students, faculty and staff by enhancing convenience and service for campus access, and personal financial services. The goal of ID Services is to maximize the use of current card technologies in order to deliver secure and efficient services to the OSU campus community.